Other the past several weeks, we have been featuring the members of Trade Winds on our Facebook page to show our "likers" more about us and why we do Trade Winds. The words of my friends and fellow members remind me how lucky I am to work with all of them, and they inspire me to keep doing this work. I've copied the posts from our Facebook page below. If you haven't liked our page already, HERE's the link! What did you learn in Kenya?I'll never forget the responses we got from our students when we asked them questions like "How do you feel when you hear a sad song?" or "How about an angry song, does that make you feel mad?" and expected them to say their feelings matched the mood of the music. But the constant response they gave was "music makes us happy. Never angry or sad." I learned so much in Kenya, but what I think about most of all after our exchange is the joy -- I feel like we as musicians often get so fixated on improving our technique and become so weighed down by the pressure of auditions that we sometimes lose sight of that joy. Remembering our students in Kenya helps me remember to let that feeling in. What is your favorite Trade Winds memory?Oof, that's such a hard question! One of my (many!) 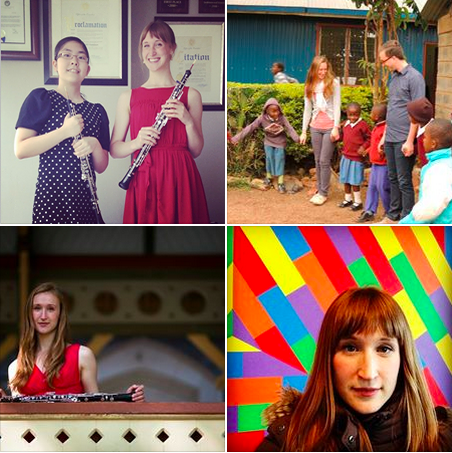 favorite memories is the day we gave masterclasses at the Nairobi School, because being there the whole day and ONLY for one day made it really special. The kids were so shy when we first arrived, but as we danced, conducted, played games, and made music together, everyone -- Trade Winds members and students alike -- began to open up to one another and I loved that feeling; we were all learning so much. Then, at the end of the day, Trade Winds clarinetist Brian and I joined a spontaneous jam session with some students, which was pretty awesome. 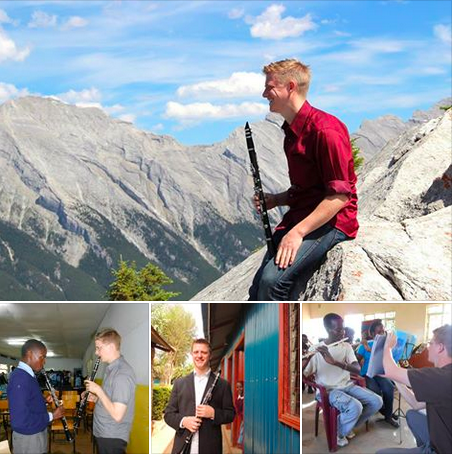 This week, we're talking about our favorite clarinetist, Brian Gnojek! Outside of Trade Winds, Brian has volunteered with outreach projects in Chicago and The Philippines. Now, he teaches clarinet and freelances in Austin, Texas. What did you learn in Kenya? right next door even existed. What is your favorite memory of working with Trade Winds? their poems, songs, and plays in both English and Kiswahili. Besides that, my second favorite memory was probably Nick and I trying to get the recorders to make funny noises by wedging them against our bellies. remote from the U.S. Latin and South America seem very close (though not out of the question for a future trip), and Europe is culturally similar to the U.S. in many ways. I have done a project in southeast Asia, and Africa seemed like a logical next step. Kenya has the worst poverty I have ever seen, but they also have a lot of music in their lives. We wanted to work with that musical background and use it to teach them a way out of the poverty in which they lived, even if it was just learning how to express their pain, or to share their happiness. Trade Winds is an amazing group of people. The other members were so much fun to spend time with, and each brought a huge variety of talents to the table as both teachers and performers. I am excited to work with them in the future! 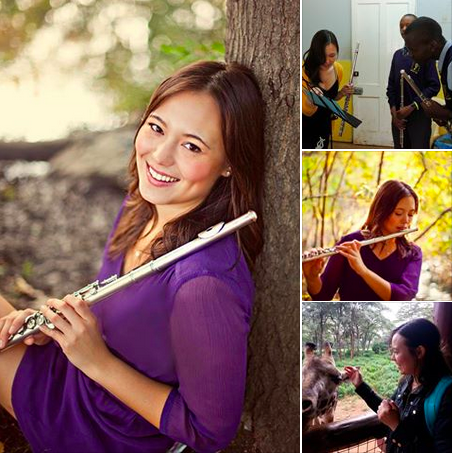 Today, it's all about our flutist, Christina Hughes! As a 2nd year masters student at the Yale School of Music, she is a theory teaching assistant and private flute instructor. She is also freelancing and pursuing an orchestral career. We love you! What did you learn teaching in Kenya? I think the biggest thing that I learned from teaching in Kenya is that it is possible to have a truly happy life even when you live in impoverished conditions. It may seem impossible to us to be able to lead a life and find happiness if we have to survive on a dollar a day and struggle to feed ourselves and our families, but it is possible to be deprived of what we may view as necessities to life and still have joy and content in one's life. This was most striking to me when we would read the journals of the students at Rise and Shine and across the board they would express that they like what they have in their life. What is your favorite Trade Winds memory? It is so difficult to try to pick just ONE memory! I really loved sitting around with the group while reading the Rise and Shine journals and just unwinding (with a Tusker!) after a day of teaching. It was really special to be able to connect with the students on an individual level while during the day at times it was hard to feel like you could reach each student, maybe because they were hungry and distracted, or just because of the mere number of students we were teaching at once. I wanted to join Trade Winds because I felt that it was a really special group of people. Everyone is so passionate and brings something unique and spirited to the group, and I couldn't imagine a better set of individuals to go across the world with to teach, learn, share, and grow. 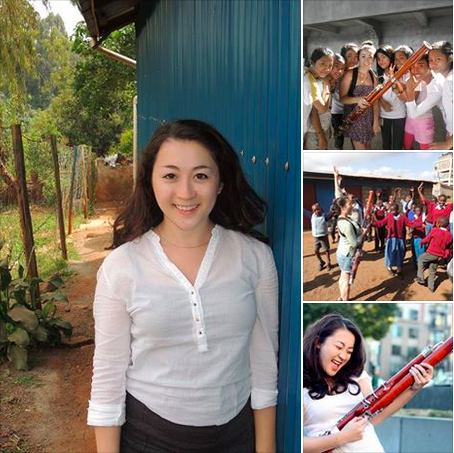 Here is our bassoonist, Midori Samson! Outside of Trade Winds, Midori is a graduate student at the University of Texas at Austin, runs the UT chapter of Artists Striving to End Poverty, and volunteers with Project Philippines. I learned how truly lucky I am to play music; that very few people are lucky enough to pursue a career in self-growth, expression, and fulfillment; that every note I play is important because getting to play music is everything I could ever want. My favorite memory is the day we arrived for our first day of teaching at the Rise and Shine Academy and the students presented a welcome concert for us. They sang the most beautiful Swahili song that captured me from the beginning even though I had no idea what the lyrics meant. I realized then that it would be our job to show them that this kind of singing--this art that they casually make every day--matters and has value. Volunteering and traveling 100% feeds my music making, and my bassoon playing is so much more meaningful when I tell the stories of my students through music--stories that otherwise may never be shared with an audience. Being a member of Trade Winds satisfies my cravings for seeing the world, sharing my love for the arts, and making unforgettable musical connections with all kinds of people. It makes my heart and artistry full. Introducing the newest member of our mission, Prema Digrazia! 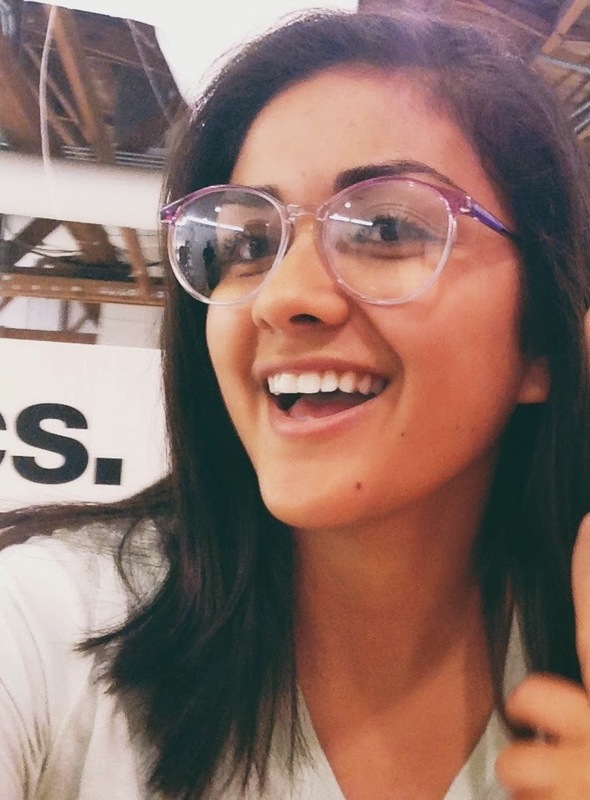 She is a film student at California State University--Northridge and will be creating a documentary about Trade Winds after our next trip to Kenya. Welcome, Prema! What inspires you to do your art? My inspiration to make art is to enhance the way people see the world. It is a chance to understand perspectives and interpret new cultures and people, all while applying the artistic talents given to each person. Trade Winds has a meaningful mission to help the less fortunate. I'd like to help communicate the group's goals to people interested and those unaware of this amazing project. Can you send a few pictures of yourself in action? My work is behind the scenes! There for, I have no pictures!